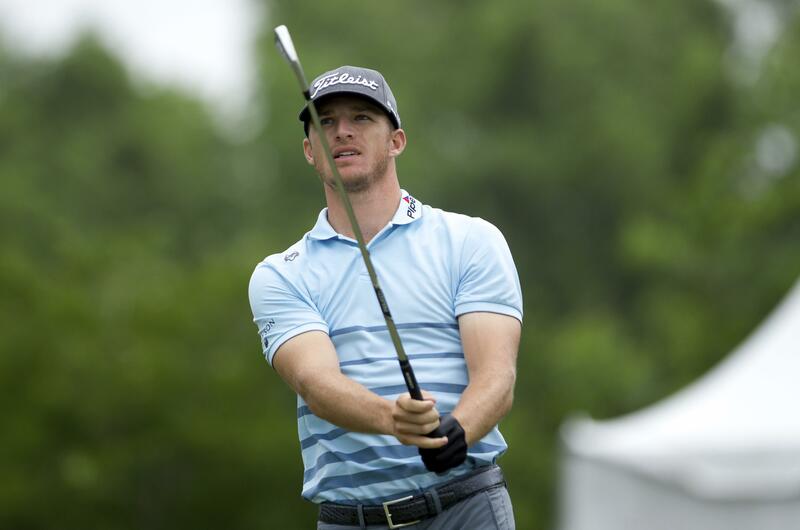 Tue., Dec. 5, 2017, 10:54 p.m.
NEW YORK – PGA Tour player Morgan Hoffmann says he has been diagnosed with muscular dystrophy and that his right pectoral muscle is nearly gone. In a story Hoffmann wrote for The Players’ Tribune website, he says he started to notice his right pectoral deteriorating about five years ago. He saw more than 25 doctors as his weakness progressed and his swing speed decreased. He says he was diagnosed in November 2016. Hoffmann kept his PGA Tour card and made it through two rounds of the FedEx Cup playoffs last season, finishing at No. 81 in the FedEx Cup. He has yet to win in his five years on the PGA Tour, though he was a runner-up behind former Oklahoma State teammate Rickie Fowler in the Honda Classic last season. Hoffmann grew up in New Jersey and played at Oklahoma State with Fowler, Kevin Tway and Peter Uihlein, who all are on the PGA Tour. He said the characteristics of his type of muscular dystrophy – facioscapulohumeral – are atrophy of the chest, back, neck, arms and sometimes the legs. “Each case is different, and some muscles degenerate more quickly than others,” Hoffmann wrote. “As of now, the disease has progressed slowly – only the right and a minimal amount of the left pec have deteriorated since I first started noticing an issue six years ago. Doctors are searching for a cure, conducting stem cell research and experimenting with growth hormone treatments. Hoffman says he plans to start raising money and awareness of muscular dystrophy. That includes a charity golf event at his home course, Arcola Country Club in Paramus, New Jersey. Published: Dec. 5, 2017, 10:54 p.m.